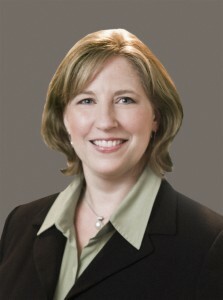 Jennifer Corso specializes in representing management in labor & employment law. Jennifer offers employers a proactive approach to employment matters, innovative solutions, and top rate advocacy in defending employee claims. She is certified by the Ohio State Bar Association as a Specialist in Labor and Employment Law, and has written several articles and spoken at numerous seminars to community business groups on employment law topics. Jennifer represents businesses in employment lawsuits in federal, state, and appellate courts. Jennifer also represents business clients participating in mediation, arbitration, or other alternative dispute resolution procedures involving employment matters. Jennifer represents businesses in claims filed with federal and state administrative agencies such as the Ohio Department of Jobs and Family Services (unemployment claims), the Ohio Civil Rights Commission, the Ohio Equal Employment Opportunity Commission, and Ohio’s Bureau of Workers’ Compensation. A comprehensive audit of all employment practices, including checks of all employment postings, wage and hour compliance, review of employee handbooks, contracts and hiring documents, review of employment policies and practices, and assessment of supervisory training needs. Providing practical advice and counsel on everyday employment issues, including hiring, firing, discipline, and safety issues. Involvement at this level can save a company excessive costs down the road by early identification of potential claims. Providing training and guidance to supervisors and management on employment practices. Train employees on employee handbooks and company policies and procedures. Conducting, leading or providing advice on employee investigations, including workers’ compensation claims, sexual harassment claims, and employee misconduct. Representing employers in union grievances, pre-disciplinary hearings, labor arbitrations, defending unfair labor practice charges, negotiating collective bargaining agreements. Jennifer is a graduate of Eastern Michigan University (B.S. 1990), and received her law degree from Cleveland-Marshall College of Law (J.D. 1993). She is licensed to practice before all courts in the State of Ohio and the United States Federal Court in the Northern District of Ohio. In 2005, Ms. Corso was named a “Rising Star Super Lawyer” by Ohio Super Lawyers Magazine, which identifies outstanding Ohio lawyers who have demonstrated superior professional potential.